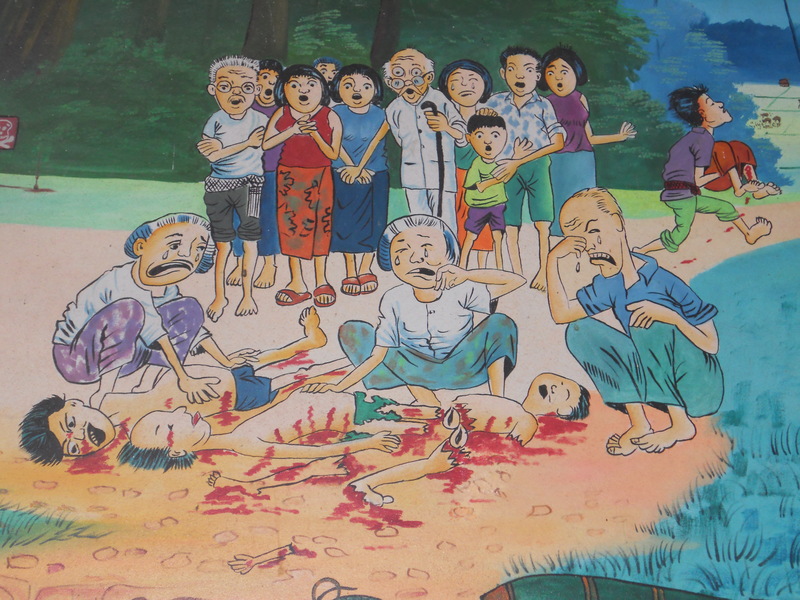 Our day-and-a-half stay in Phnom Penh was marked by two distinct sites that caused our hearts to further bleed for the country: the Tuol Sleng Genocide Museum and the Killing Fields of Choeung Ek. 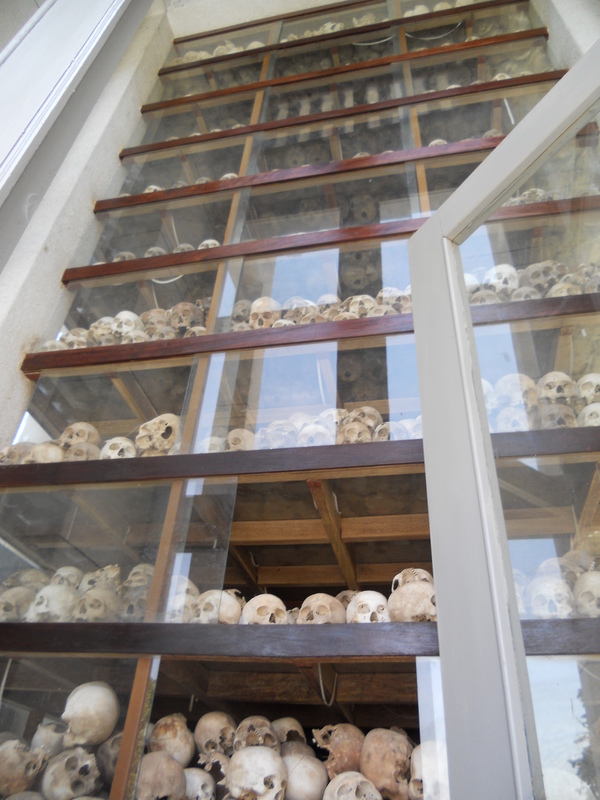 The two places hosted a significant amount of the horror that occurred under the Khmer Rouge and are now open to visitors to share that history with the rest of the world. 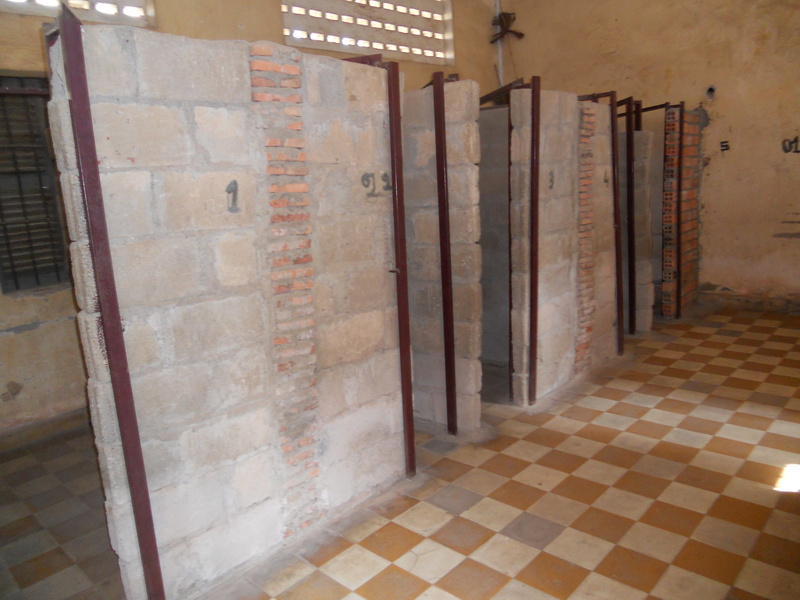 Also known as Security Prison 21 (“S-21”), Tuol Sleng is a former high school-turned political prison that was a massive site of death and torture under the Khmer Rouge between 1975-79. The prison housed a number of political “threats” including officials from the previous government, academics, teachers, students, monks, factory workers, engineers, and eventually, suspicious members of the Khmer Rouge itself and their family members. When brought in, prisoners were either housed in tiny cells (like bathroom stalls) or shackled with other prisoners in larger rooms and were forced to stay under the most inhumane conditions. They were fed four spoonfuls of rice porridge twice a day, forced to sleep on the bare floor and forbidden to talk to each other. Breaking any of these rules, even drinking water without permission, would result in severe beatings or other punishments. Ultimately, however, the prison was an interrogation center and the victims were electrocuted, hung up by their arms, nearly drowned or had their fingernails ripped out as some of the methods of torture used on them. Many ended up selling out their friends and family members (who often then suffered the same fate) before being killed. Today, visitors can roam around nearly the entire complex, which includes several blocks of buildings used for interrogation and holding cells. The rooms are eerily simple, holding remnants of the bed frame, shackle and metal box (for going to the bathroom) that made up most of the interrogation rooms. 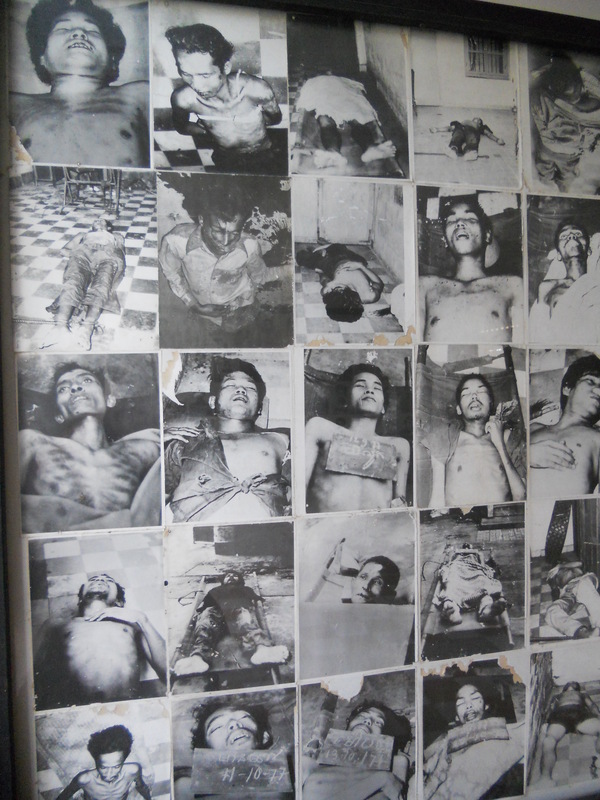 Nearly each room in the interrogation block, however, also contains a photograph of a dead body after it had been tortured, putting an eerie perspective on the whole place. Nearby, the holding cells block contains three floors of wooden or brick cells, all about the size of a bathroom stall. Each level has barbed wire covering the outside balcony to prevent the prisoners from committing suicide. In some cases, you can still see blood stains on the floor. Topping off the whole museum, however, is the victim’s memorial in the last complex. The ground floors are full of photographs of the prisoners, remnants of the torture devices used on them and the stories of the seven lone survivors (out of 17,000) who were found when the prison was liberated in 1979. In the very last room is a large monument full of skulls and clothing remnants. It was quite an emotional museum, to say the least. On the morning of day two, Karri and I visited Tuol Sleng’s sister site, the Killing Fields of Choeung Ek, where most of the prisoners were killed and buried after their interrogation. The site is a ways out of the city at the former site of a Chinese graveyard. 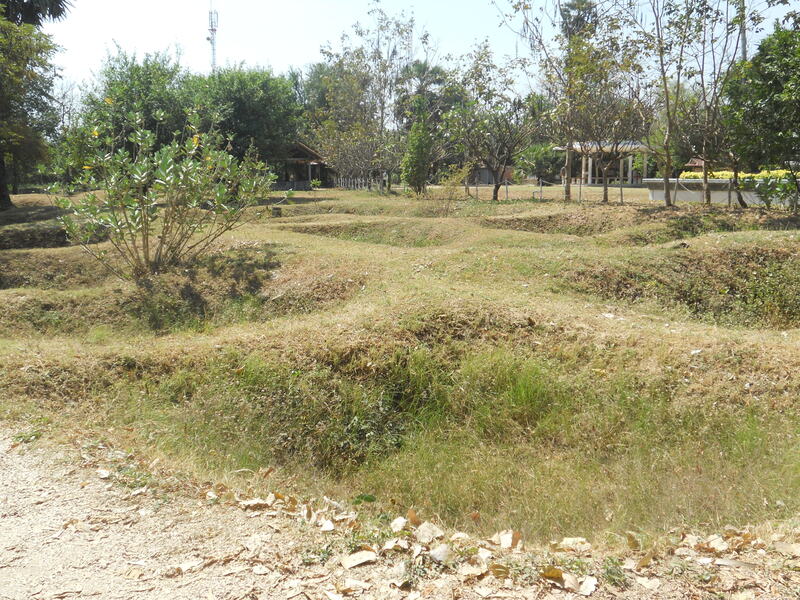 The prisoners had to be killed and buried there when the Khmer Rouge ran out of space at Tuol Sleng. To save bullets, they were bludgeoned to death with basic farm tools and buried in mass graves throughout the fields. Though we’ve all grown up learning about horrible atrocities that have occurred throughout history, especially things like the Holocaust, it’s very different experiencing the sites first hand. What was especially scary to me was the fact that this all happened in the late 70s, less than a decade before the year I was born… After these museums I kept staring at all the Cambodians I encountered, especially the older ones, wondering what they were thinking about, what memories they had and what their lives are like now. I just feel sometimes Iike I’ve grown up in a bubble, one for which I am very grateful, and I hope I never have to endure anything like they did during my lifetime. After much deliberation, Karri and I decided not to pursue more temples on day two. It was a really tough decision to make, but we were a bit “templed-out” after having spent an entire day looking at ruins, and there were a few other things in Siem Reap that I wanted to see. The main event on day two was the Cambodia Landmine Museum, what would become the first of a series of heart-wrenching museums that made up the majority of our trip to Cambodia. The museum was quite a ways outside the city and near Banteay Srei, another temple that was described in my guidebook, so Karri and I decided to do both. It wasn’t until our tuk tuk driver took us to the lone ticket counter for the archeological park that we realized Banteay Srei was part of the whole ruins complex and required another $20 full-day ticket. Reluctantly, Karri and I decided to pass on the second ticket, convincing ourselves that we had seen enough temples and would now have more time to see the city. People fishing off the side of the road in Cambodia. Our driver, however, didn’t get the memo and somehow Karri and I found ourselves at Banteay Srei anyway, and I quickly began regret not purchasing that second ticket… Banteay Srei, from a distance, looked really incredible, and unlike other temples in the area, had information available to read about the temple’s history and architecture before going in. At this point, we’d already driven more than a half hour to get there and going back to the original ticket counter was not an option. Unfortunately, we soon found out that individual temples don’t sell their own tickets. It’s all or nothing, and if you want it all, you have to go to the lone temple ticket counter just outside Siem Reap. But after such a long drive I was determined not to give up, so I decided to approach the guards and see if there was anything I could do to change their minds… At first I just played dumb and asked politely if there was any way we could buy just one ticket to get into this one temple. I tried to explain to the officer that we had already seen the main circuit the day before and had traveled a long way just to see this one temple today. He said he couldn’t but referred me to his supervisor, where I repeated my story. Again, I was told to go back to the ticket counter. At this point, I asked the guard if maybe we could pay him to see the temple. At first I offered $5 (well more than one temple is worth comparatively) but went all the way to the full $20 just to see this damn temple. But what do you know, a guard in a country where corruption is rampant still REFUSED to let me in! In fact, he made sure to tell me that people found at the temples without tickets get a $100 fine, despite the fact that he and his comrades were the only point of defense for the ruins and letting us in would be easily unnoticed. Anyway, with our tails between our legs, Karri and I left the temple site and headed off our original destination, the Cambodian Landmine Museum. Like it sounds, the museum is full of information regarding land mines, especially their presence and history in Cambodia. 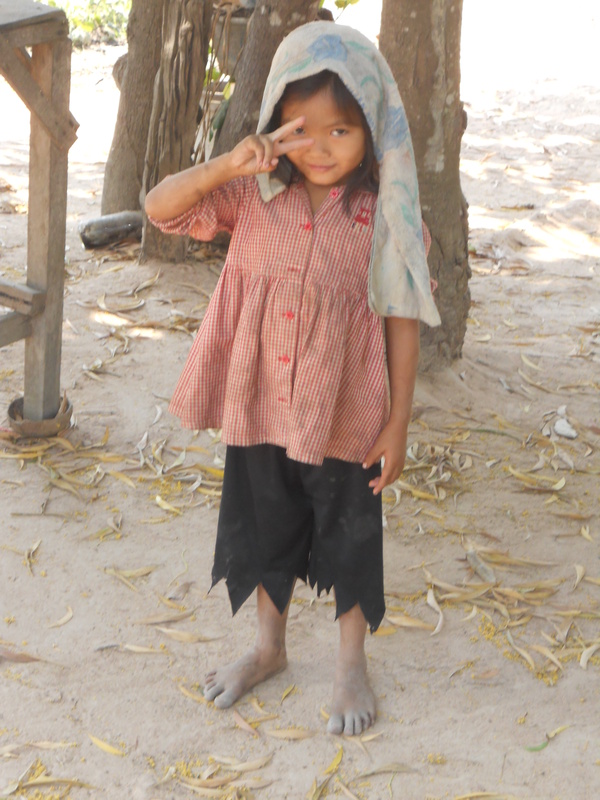 It also contains an orphanage/school for victims of landmines and other disadvantaged children. The founder was a child soldier under the Khmer Rouge and was forced to lay landmines as a child, watching many of his friends get blown away in the process. He eventually realized the harm he was causing and dedicated his life to removing landmines throughout the world and educating people about their danger. Though small, the museum is really powerful. There is a large collection of landmines and weapons on display, but what is more interesting is actually reading about the history of landmines and their presence throughout the world. There is also a really interesting documentary video on just how they work and how powerful they are. What is most impactful, however, are the stories of the child landmine victims who now live at the museum’s orphanage. An entire wall is covered with their little biographies, and you find yourself addicted to reading each one, never ceasing to be shocked by their stories. There is also an art therapy project on display where the kids were asked to take a box and paint their aspirations on the outside of it while painting what happened to them on the inside. Today visitors can find four boxes hanging from the ceiling, all with pictures such as teachers, doctors and office workers on the outside, with colorful visions of smoke, fire and missing limbs on the inside. 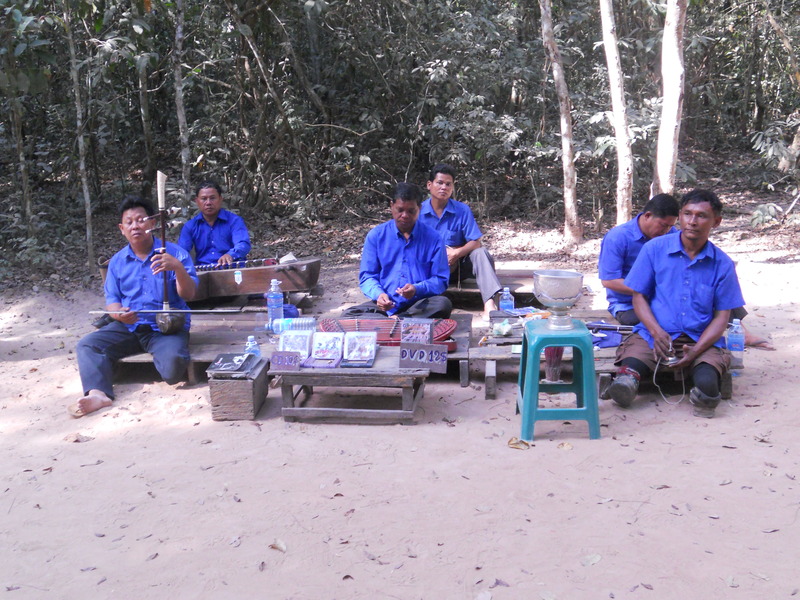 Sadly, there are an estimated 6 million unexploded landmines remaining throughout Cambodia :(. After that emotional rush, Karri and I decided to relax a bit and just enjoy the streets of Siem Reap during our remaining time there. Next stop: Phnom Penh! As I sit here, just a couple weeks after returning from my one-week trip to Cambodia and Vietnam, all I can say is that this trip was one of the most eye-opening experiences of my life. Cambodia, a country that has been through so much political unrest, genocide and famine, was one of the most fascinating yet heartbreaking places I have ever been to. Likewise, Vietnam, the first communist country I have visited, also proved to be a reality check, as I saw firsthand how much control the government exerts on information. Additionally, both of these countries were the two most polluted I have ever been to (especially Ho Chi Min City), and I’m still recovering from the cough I picked up from the three straight days of congestion I suffered as a result of the pollution aggravating my allergies. So the trip came about after I found myself with nearly an entire week off work with the celebration of both Federal Territory Day and Chinese New Year in one week (gotta love the many cultures of Malaysia)! Since it was only a few weeks after the massive preparations for Thailand, I decided to join my Finnish friend Karri on his pre-planned trip, which included four days in Cambodia and four days in Vietnam, with my friend Danielle joining us for the second half. I must say, in the (rushed) weeks planning my trip to Cambodia, I was pretty terrified and extremely anxious of what was to come. After receiving a typhoid vaccine and accumulating a mini-pharmacy including anti-malaria pills, anti-diarrhea pills, stomach medicine, anti-histamines and rehydration salts, I turned my worries more to the country’s lack of infrastructure, unsafe traffic and crime. Plus the image of the nasty scars on the legs of a New Zealand girl I met in Thailand due to a sink and mirror falling on her in her guest house in Cambodia left quite an impression on me. 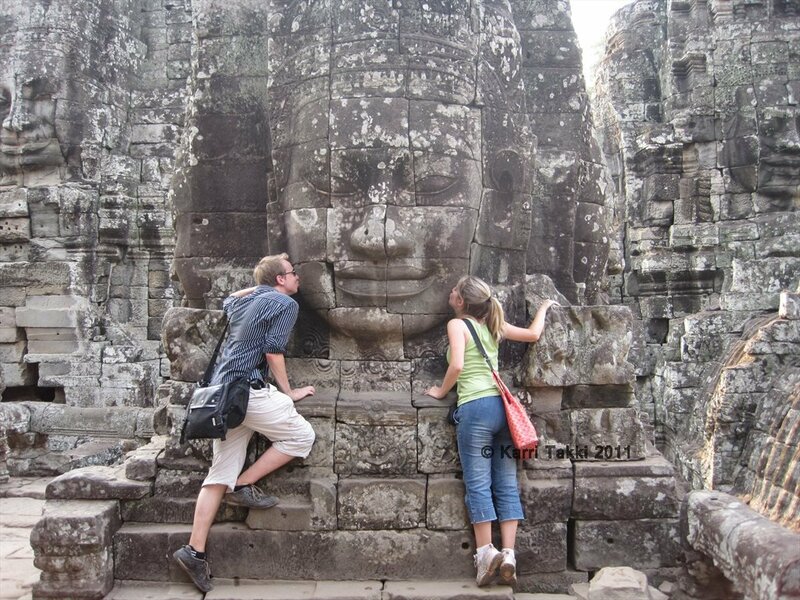 But as we arrived at the Siem Reap airport and headed to the city, my fears mostly began to melt away. 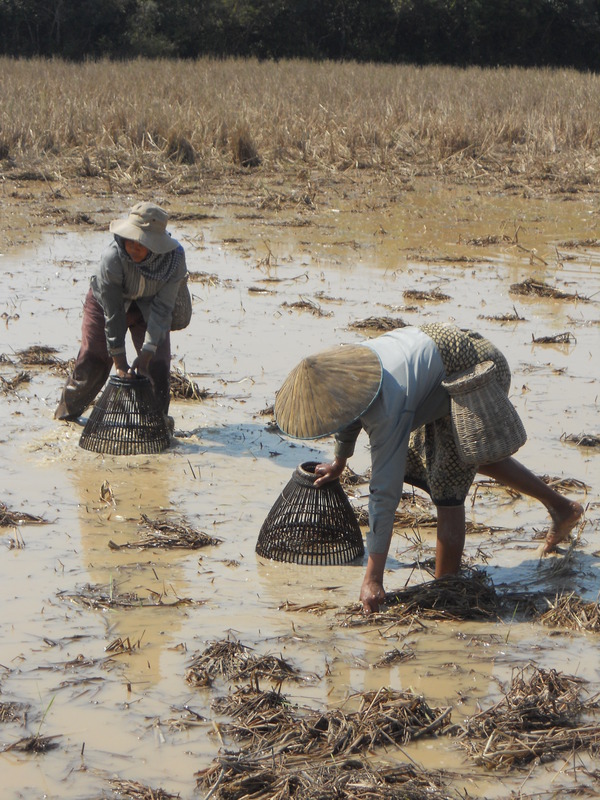 Cambodia is fascinating! To start with, it’s a lot like Thailand, except poorer and “Frencher.” Like Thailand, we rode around in tuk tuks, though the ones in Cambodia are simply motorbikes dragging the carriage as opposed to one, connected (stable) vehicle. Similarly, the food in Cambodia is like that of Thailand, though less spicy and with more French influence, like baguettes and croissants. Additionally, the country has a history of Buddhism and Hinduism with beautiful palaces and temples built with architecture similar to those of Thailand. The country is, however, EXTREMELY poor. I’m not kidding, as we looked at all the children running around, some naked, nearly all barefoot, playing in the dirt and the dirty water in the ditches, I felt like I was looking at a Sally Struthers infomercial to adopt a child. Beggars are everywhere, especially in the city’s capital, Phnom Penh, where one child followed me for two blocks, begging me to buy a pirated book, while another waited for more than 15 minutes next to my dinner table at a restaurant to try to get me to buy one. In addition to the children, the country is full of land mine victims, some who beg on the streets and others who have formed a musical band where they play at tourist places and collect money in a basket. Though I normally don’t give money to beggars, it was especially hard to refuse in Cambodia after seeing and reading about all the hardship these people have endured during the past few decades, especially under the Khmer Rouge communist government from 1975-79 where between 20 and 25 percent of the population died or was executed under the brutal regime. I found myself, instead, doing quite a bit of shopping, including buying two skirts, two books, earrings, a painting and a t-shirt, always justifying my spending that I was supporting this NGO or the local economy. (Plus, some of the stuff was really cool). So the whole trip started in Siem Reap, Cambodia home of Angkor Wat, one of the most spectacular temples in the world, and an entire complex of ruins spread out outside the city. As some of the ruins are quite far away from each other, many guidebooks recommend spending at least three days to view everything, but since we only had two days, Karri and I decided to hit the ground running on day one and try to see as much as possible. Our first stop was Angkor Wat, the crown jewel of the entire archeological park. The temple and its surrounding complex were built in the early 12th century for King Suryavarman II. Though now a Buddhist temple, it was originally a Hindu temple dedicated to Lord Vishnu and built to resemble Mount Meru in Hindu mythology, including a massive moat that surrounds the whole thing. Though under some reconstruction at the moment, Angkor Wat was beautiful. The complex is quite large and contains several buildings including a few large entryways, two libraries and the temple itself (side note: make sure to cover your shoulders and legs before you visit, otherwise you will be forced to wait to borrow the temple’s lone scarf for visitors). After Angkor Wat, Karri and I managed to see the rest of the park’s main circuit, and though exhausting, is quite incredible. 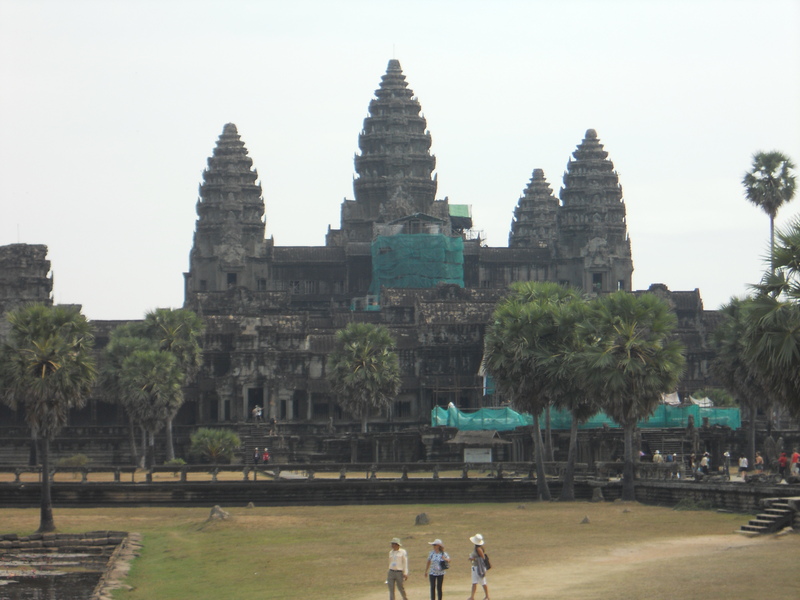 Actually, despite the national icon that is Angkor Wat, I think I prefer some of the other ruins we saw that day. 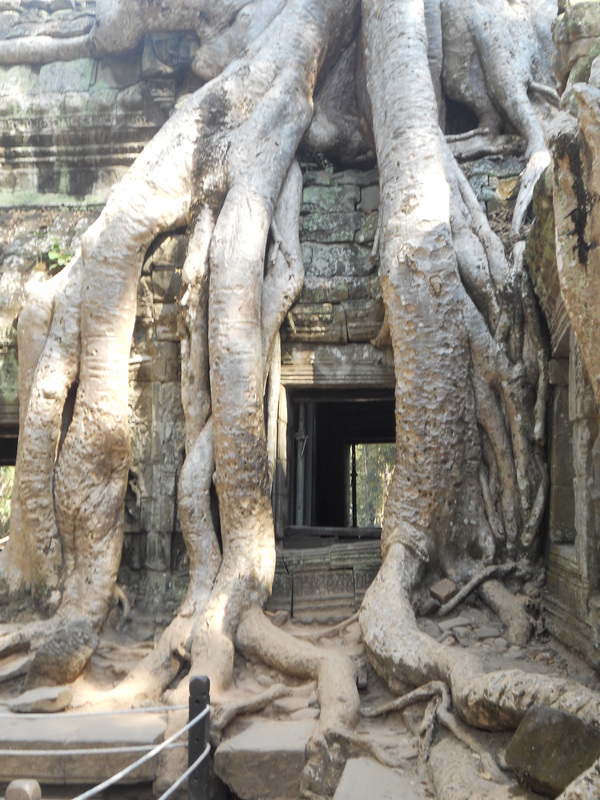 Ta Phrom, another 12th century temple nearby, was amazing. Most of the temple has already fallen apart and what remains doesn’t look like it will last much longer. What is really beautiful, though, is that the temple is full of huge, old trees which have grown around the ruins, sometimes framing them with their roots. After more than seven solid hours of ancient ruins, thus ended day one in Cambodia. Link's Lost Life A blog from my friend, Link, who left his career in Michigan as an actuary for an adventure in Iceland. Highly entertaining.